So you’ve tried your hand at trolling for striped bass with mojos and lipped diving plugs, but want up your game and give spoons a shot? You’re in luck, TackleDirect has packaged four Tony Maja Spoons in all four sizes, two trolling safety lines to secure your rod, and a 300ft spool of 40lb Monel wire. 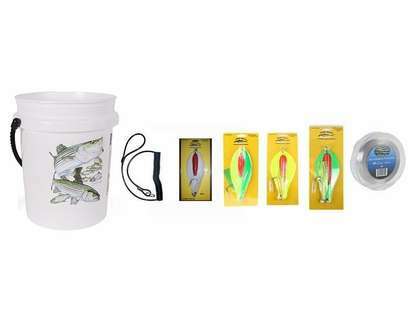 On top of all this, a 5 gallon TackleDirect bucket with a David Dunleavy striper design is also included to help you organize all of your new spoon gear. 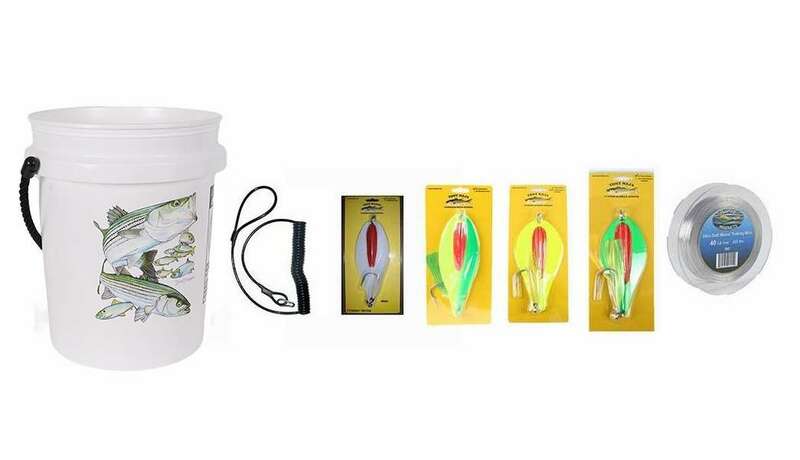 When you are after the true cows, make sure to grab your Tony Maja Trolling Spoon Bucket Kit and hold on!